Architects to Chicago Mayor: Save Prentice! - Archpaper.com Architects to Chicago Mayor: Save Prentice! 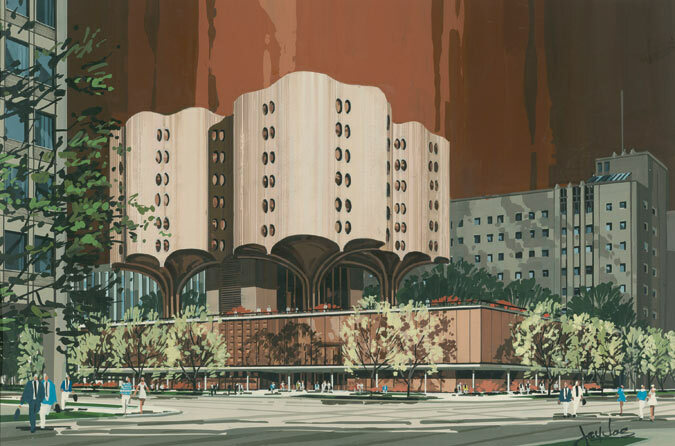 More than 60 architects flocked to the side of Bertrand Goldberg’s embattled Prentice Women’s Hospital Wednesday, calling on Mayor Rahm Emanuel to ensure the concrete cloverleaf’s permanent place in Chicago’s skyline. Northwestern University, Prentice’s owner, announced their intention to tear down the vacant hospital last year. But Alderman Brendan Reilly helped secure a stay of execution for the building, galvanizing a preservation movement that has earned the support of the Chicago AIA, Landmarks Illinois and AN‘s editorial page. Prentice Women’s Hospital moved to a new facility down the street in 2007, opening up the distinct building to arguments of functionality in a high-density neighborhood. Coming from a major research university, Northwestern’s demolition plans suggest preservationists stand in the way of progress. Indeed Prentice’s structurally unique cantilevered concrete shell is an architectural asset in the neighborhood. It is the only hospital Goldberg designed for his hometown, and its quatrefoil plan emerged from his belief that architecture should strengthen community through human relationships. The worldwide list of architects calling for its preservation shows Prentice continues to bring the design community together, almost 40 years later.